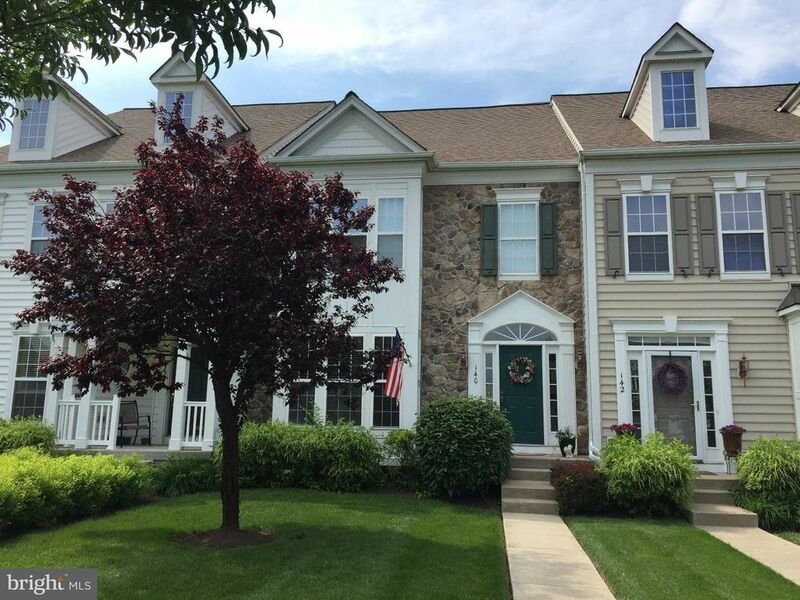 Lovely 4 bedroom 3.5 bath townhome located in the heart of Bedminster Square! Enter through the front door and notice the open and easy living floor plan. The eat-in kitchen boasts 42 cabinets with stainless steel appliances. Spacious dining room, living room with gas fireplace, powder room and laundry complete the first floor. Upstairs you'll find the master bedroom with full bath including a soaking tub, shower and walk-in closet. There are two additional bedrooms and a full bath that complete this level. On the lower level is a suite of finished rooms, 4th bedroom and a full bath. Hardwood floors throughout the first floor with wall to wall carpets on the upper level. This home offers a 1-car attached garage and patio that overlooks open space. Come and make this wonderful home yours!